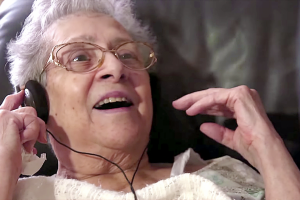 Music & Memory’s personalized music program has been field-tested in thousands of care settings worldwide. As a MUSIC & MEMORY® Certified Care Organization, you will benefit from best practices training, peer-to-peer advice and support, and a wealth of resources — from policies and procedures to evaluation tools and forms. Dealing with daily workloads and challenges: difficult situations with residents or clients, medical emergencies, personnel shortages, mandatory paperwork, inescapable guidelines ensure a demanding, stressful working environment. Let residents and clients experience joy! Too often carers feel that they do not have time to offer personal care to residents and clients. What if that could change? If valuable time could be recovered? What if the quality of life of residents could improve? What if you have another remedy that could reduce dependence on antipsychotics and other measures to restrict freedom? It is possible to structurally enter favourite personal music. The Music & Memory Certification Trajectory allows you to do this. Our personalised music method is based on extensive neuroscientific knowledge, on research into how our brain responds to music. It has been tested in hundreds of long-term healthcare institutions in the US, Canada and Europe and has proved effective. Our method appears to have therapeutic benefits for thousands of residents, clients and staff. Time and time again, healthcare professionals tell us that our program has changed their lives as employees and as people. A valuable tool in the attempt to reduce dependence on antipsychotics, anxiolytics and freedom-limiting drugs. As a MUSIC & MEMORY Certified Healthcare Institution , you and your team of healthcare professionals will learn best practices for setting up and managing a project that provides personalised playlists to every resident or client who might benefit from it. You will receive a training session of a half day in the form of 3 live webinars of 90 minutes in succession. This is given by Manon Bruinsma, music therapist and chairman of Music & Memory NL. The webinar enables you and your team to create an iTunes library that is suitable for working in institutions, efficiently manage multiple resident playlists, handle material and security, integrate personalised music into the daily care plans and the effectiveness of the program. to evaluate. Music & Memory wants your project to succeed. The quality of our certification label depends on this.Starting a music project seems simple, but experience shows that all sorts of factors play a role if you want structural success with this approach in the long term. ICT questions, music rights issues, logistical questions, coming to the right music selection, creating and maintaining support within the institution, inclusion in daily care plans, financing a long-term project, dealing with turnover in your teams: the right knowledge and advice on this increase your chances success radically. Too often, new initiatives in health care are enthusiastically brought in, to collapse within a few months under the influence of the issues of the day. 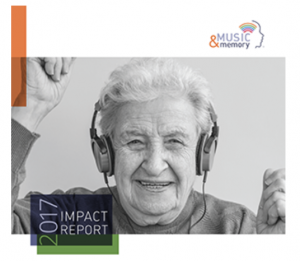 Music & Memory uses an extensive database of materials, experiences, evaluations and best practice in advising institutions that are certified. In order to guarantee this, in addition to the training you will also receive a year of coaching during the setting up of the project in your institution. This coaching takes place through a monthly online question time and through individual consultations via e-mail or telephone. Our goal is to ensure that your healthcare institution starts a successful pilot program that can be scaled up and remains a success, despite changing staff, management, policy and budget cuts. During the year after training you have the opportunity to have people in your location participate monthly in the webinars. In this way you can enable new employees and employees who could not participate in the ‘kick-off’ training to acquire all the knowledge needed to become a driving force behind the project. After certification, you will receive login details for access to the knowledge base of Music & Memory. In these knowledge bases you will find our Best Practice Map of marketing materials, forms, guidelines and procedures that have been tested and proven in our certified institutions in the form of documents and forms that you can adapt for your institution, examples of logistic solutions from hundreds of nursing homes from all over the world, PR material for your project. We ask you to add the materials you develop to the Dutch knowledge base, so that a shared up-to-date database can help other institutions. The network of Music & Memory is growing fast. Our contacts with parties outside the healthcare system make it possible to connect donors, volunteers and researchers with Music & Memory certified institutions. 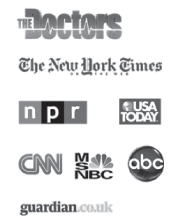 Press and media contact us to get in touch with institutions where examples of new initiatives in healthcare are successfully implemented. As a MUSIC & MEMORY Certified institution , you and your professional team will benefit from this. After certification, the name of your institution is listed as a MUSIC & MEMORY Certified Institution on our international website. Increasingly a wonderful source for Dutch families looking for care institutions that offer our program in their environment, whether or not as proof of a person-oriented way of working on a larger scale in your institution. It is our experience that setting up a personalised music project goes beyond the intervention alone: you have the opportunity to initiate or reinforce a positive change in mentality when you have your institution certified. This aspect is emphasised within the training. After successful completion of the training program, your institution will become a Music & Memory certified institution – demonstrably working in the front line of person-centered care for residents, clients and their families. To get started fill out the form below and we will get back to you within 48 hours.